Treadmills are where it’s at in terms of providing freedom of movement within a limited space. Unfortunately, they are quite big and costly but they allow users to move across a virtual space in a very natural way: walking, running, etc. Here are some of the main VR treadmills currently available on the market. VR treadmills are very expensive and are out of reach for regular consumers. Therefore most of these products target arcades or big companies and you won’t be seeing one in your friend’s basement any time soon. Made in Sweden, the Omnideck by Omnifinity is one big VR treadmill we all dream of owning. It’s 4.2m diameter motorized treadmill uses 16 wedge-shaped modules to create a 360-degree walking area and a whole lot of awesomeness. Given its size, this treadmill is mostly for VR arcades. 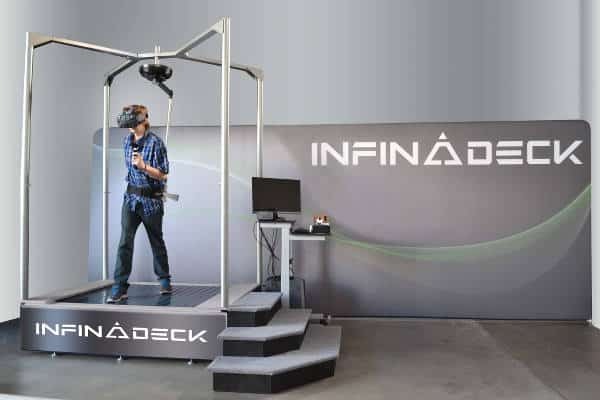 The Infinadeck, by American startup Infinadeck, looks very much like Wade’s set up in Ready Player One. Though smaller than the Omnideck, it is still quite large. Featuring a 360-degree moving floor as well as active wireless control system, this bad boy doesn’t require any special kind of shoes or hardware. 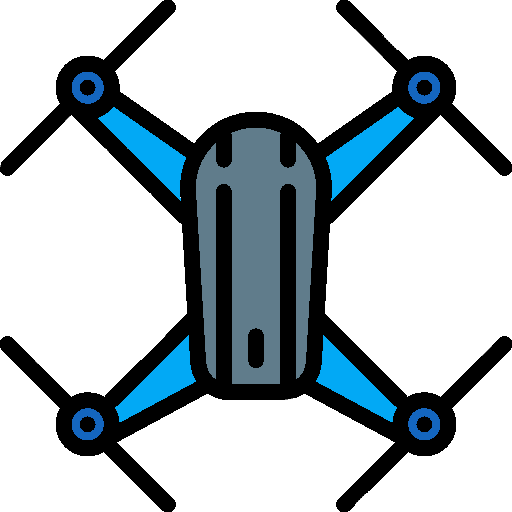 At the time of writing, the price was not yet available, however we expect it to be far less than the Omnideck’s hefty price tag as it tries to cast a net over a more mainstream market. 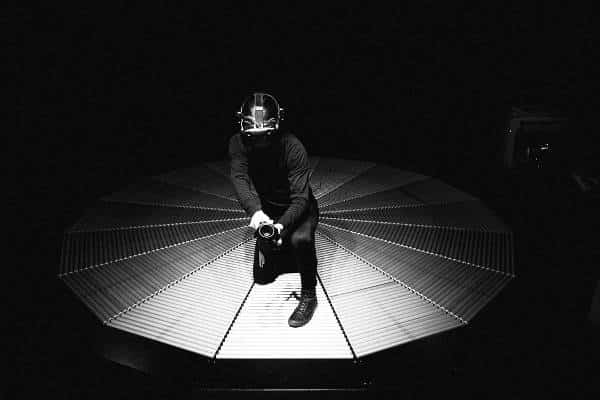 The Aperium Pod developed by Aperium, a Canadian company, is a unidirectional treadmill that uses HTC’s VIVE to track the user’s feet. The price is unavailable but this clunky machine targets arcades and VR centers of all kinds. 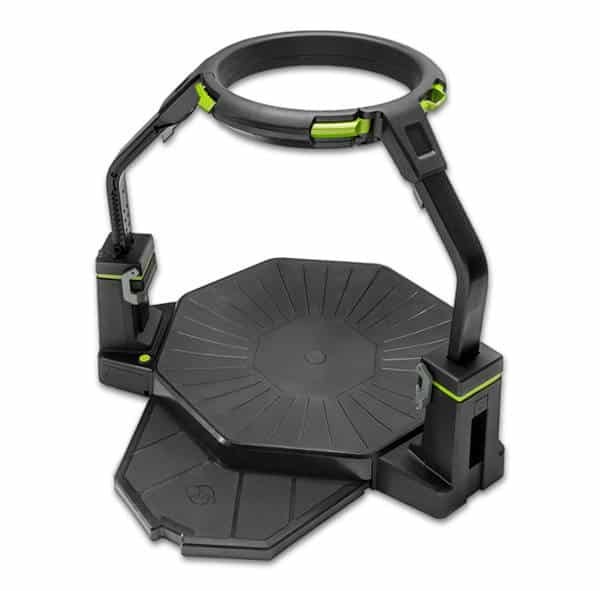 Though not publicly available yet, Strider VR is nonetheless a compact and promising treadmill. Measuring 1.20m x 1.05m x 0.15m it is a far more manageable option than other treadmills and being open hardware, will be compatible with most platforms. Slidemills are quite different to treadmills. More accessible than treadmills, they remain quite expensive but do not provide the same ease of use or comfort. Seeing as the surface under the user’s foot is static, the interface feels less natural and thus less immersive. 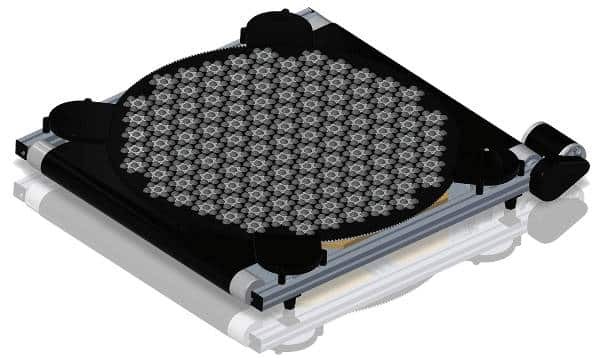 Based in Austin Texas, the Virtuix has been shipped over 3000 Omni slidemills to some 500 commercial locations. The base of the Omni is a grooved, low-friction surface. Special shoes keep the foot stabilized as well as prevent lateral sliding. Virtuix commercializes a number of accessories, including shoes, overshoes and even soap. The price for this slidemill can vary greatly depending on the reseller, and be warned, it isn’t compatible with a lot of games or platforms. If you are a gamer/consumer, check out this Reddit thread for more details. A VR headset might help, no? The Cyberith is based in Vienna, Austria, and Redwood, California, since 2014. 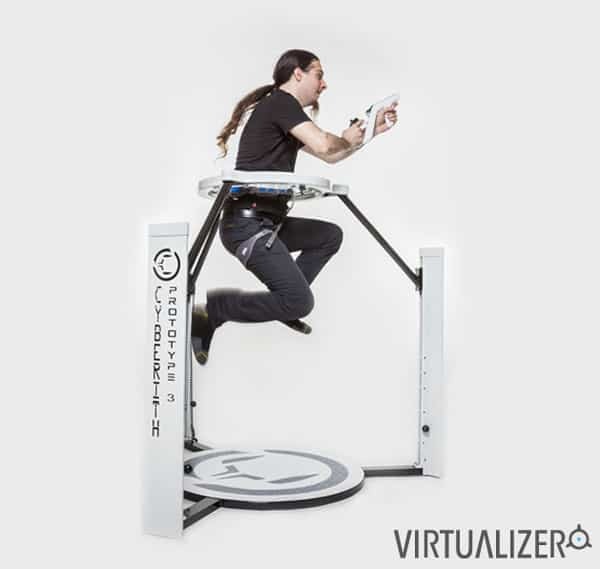 The Virtualizer is used by research institutions, universities, development departments, arcades, and VR training centers. However, pricing is not clear and units have not shipped following their “successful” Kickstarter campaign. This slidemill by KATVR looks very much like the one used by IOI in Ready Player One. Developed by a Chinese company, the Kat Walk mini is priced between 10,000 and 12,000 USD, a price tage that has upset many as they had originally positioned themselves as an affordable product. If you are looking at buying a VR HMD, compare all available VR headsets with our VR comparison engine.